Deciding to implement all-flash array (AFA) storage is just the first step. You then have to weed through the many products to choose from and multitude of variations in capacity, performance, and reliability to consider. How are you to narrow down the list of contenders? 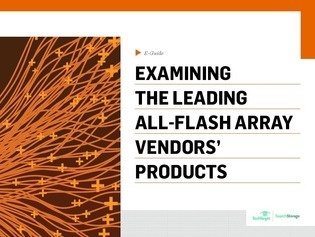 Downloading this e-guide will reveal the keys to selecting the right AFA vendor and product for your workloads. Inside, Logan Harbaugh, IT Consultant, examines which products the leading AFA vendors offer, breaking down the nuances of selecting high-end enterprise AFAs, midrange SANs, and NAS appliances from these vendors.